Without the individuals and resources named on this page, none of this would be possible. To each and all of them: thank you, thank you, thank you, thank you! 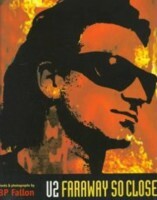 By far the best U2 book you'll ever read – in fact it's probably my all-time favourite book of any kind. Lovingly known as just "the Flanagan Bible" or "the U2 Bible" among fans, this is a veritable Zooropedia – a thrilling rollercoaster ride through the madness of the early '90s, packed with interesting analysis and hilarious anecdotes. Flanagan travelled with the band on tour, giving him the kind of insight into their world that many authors simply can't offer. His passages on MacPhisto are so wonderfully detailed yet beautifully concise that I've often seen them reproduced for the benefit of new fans, making them a natural starting point for my research. I really cannot recommend this book highly enough, and I guarantee you won't be able to put it down! 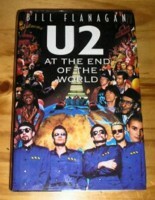 Another great read full of insider knowledge – this time from King Boogaloo himself, U2's opening DJ on the ZooTV tour. It's a curious and colourful kind of tour scrapbook, flitting from one subject to another, relying as heavily on photographs as it does on the text which is written in Beep's own inimitable style. Essential for, among other things, his behind-the-scenes info about MacPhisto's adventures in Rome. 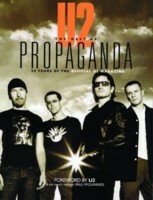 This book is a truly incredible resource, providing detailed summaries of virtually every show U2 ever performed up to 1997. Without it, I might never have been inspired to seek out all of MacPhisto's phone calls, and subsequently build my own comprehensive chronicle of them. It's been such a valuable guide to what happened on the tour, and helped me to appreciate many of the jokes which might otherwise have been lost on me. I have no doubt that it also laid the foundation for the tour history websites that many of us now visit. You don't come across that kind of passion and dedication every day – thank you and RIP, Pimm Jal. This compilation of material from U2's official fanzine includes past tour diaries from show designer Willie Williams, an absolute legend in his own right. 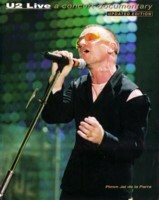 He continued to keep a personal journal about life on the road until 2011 (with PopMart, Elevation, Vertigo and 360° all published on U2.com), and it was always fabulously entertaining, full of witty observations and fascinating backstage stories. I'm eternally grateful to Willie for not only helping to create these wonderful tours, but also for documenting them with the kind of loving appreciation that only a true fan could possess. His ZooTV diary is written with a humour and eloquence that had me both laughing and crying within the space of a few minutes – it's a must-read for anyone who treasures that tour as much as I do. In 2006 – to mark their 30th anniversary – the band finally put out an autobiography, allowing us to read their own individual recollections of life in U2 from the earliest days to the Vertigo era. It's such a huge book that I've so far only managed to skim through random portions, but it goes without saying that it's well worth buying for the unique perspective. Bono and The Edge both talk in some detail about the ideas behind MacPhisto and the fun they had with him on tour. 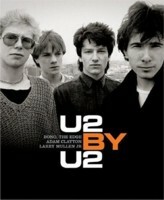 The only book to make U2 By U2 seem lightweight! This is a seriously hefty tome dedicated to the art of putting on a U2 concert. 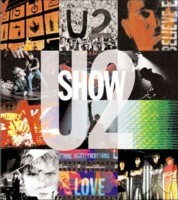 It boasts literally hundreds of photographs, as well as articles written by absolutely everyone who's anyone in the U2 crew. Naturally MacPhisto is mentioned by several of the contributors. This is one of many, many books that I've started and not yet had the time to get any further with, but I correctly guessed that it would be useful for the writing of this website. Dianne is one of those very lucky fans who's followed U2 around on tour, seeing a lot of shows and sharing her experiences in a journal format. She frequently mentions MacPhisto in her book, and there are some lovely performance descriptions which I've quoted here and there. I haven't gotten round to reading this one yet, either – yes, I did skip straight to the pages about ZooTV. :p I am most grateful to this book for its gorgeous photo of MacPhisto (which I found in the shop, convincing me I must have it) and for the quote from Adam, which might just be the greatest statement about Mr MacPhisto that I've ever read. Not the sort of book you'd read from cover to cover (unless you had a lot of time on your hands! ), but a handy little resource whenever you want to look up a specific topic within the U2 universe. It's given me a number of facts and quotes which have led my research in new directions, both for this website and other projects. It was 1999 when I first became a fan of U2 and especially Mr MacPhisto. I wished I could read transcripts of all his phone calls, but no such thing existed. I was, however, thrilled to discover the first website all about him, created by Lady MacPhisto. For a long time I didn't see any point in making a fansite of my own, as I had nothing to offer that she (along with a few others) hadn't already covered. As I gradually acquired audio clips of the phone calls and found myself tantalisingly close to owning the full set, I had the idea of a 'MacPhisto timeline' web page, for my own personal reference if nothing else: a complete list of every call he made, with a transcript wherever possible. I started the project in 2003 as a pleasant distraction from my final year at university, but got no further than typing up what I'd read elsewhere, and still had several gaps in my knowledge and collection. I came back to it in 2005 and wrote a little more, but it wasn't until 2007 that I finally finished it. By then I knew an awful lot about MacPhisto, and my computer was full of pictures that desperately needed sorting. I had a vision... Eurovision! Yes, maybe I could start with my timeline and build a whole detailed website around it. So I did! It took me several months to put this site together and I'm proud of it, so it's annoying when others try to pass my work off as their own (even if they're translating it into a different language). If you wish to reproduce any of my text, please give credit where it's due and include a link to the page you got it from. A great number of websites provided me with material – it would not be practical or even possible to list all of them. U2 Station proved particularly invaluable, with its enormous archive of magazine articles, interviews and webchats. Some of my knowledge came from U2faqs.com (Frequently Asked Questions about U2). The detailed setlists at U2gigs.com were helpful when compiling a list of song snippets MacPhisto has sung. We should also take a moment to salute the likes of Google, Wikipedia and YouTube, which have absolutely revolutionised the Internet since the early days of my fandom. Most of us probably take them for granted now, but a few years ago it would have been far more difficult to do the research for a site like this. I guess change isn't always bad! Thank you so much to everyone who's contributed to my vast collection of MacPhisto MP3s and videos (which of course includes the tapers and traders who originally distributed them, and indeed the band for being relaxed enough to allow it). When I first became a fan, I never dreamed there were so many recordings out there, especially when it came to video footage – it was six years before I saw any ZooTV show apart from the official Sydney release, and for several more months I believed that first bootleg to be a unique gem. Now I'm utterly spoiled and can't get enough of them! A special thank-you to Kim of U2 GTA for sharing your Bono/MacPhisto voicemail with the world! It's one of the greatest, most unbelievable surprises I've ever had, like the cool dreams I'm usually disappointed to wake up from. You are one lucky lady, and I'm so glad you decided to let everyone else enjoy it too. Images used on this site are from here, there and everywhere – I'm afraid I didn't make a note of where I saved them all from, though I've tried to add photographer credits wherever I can. Thanks to everybody who has posted or sent me great MacPhisto pics over the years, including Connie and Nikkie who gave me some brilliant ones I'd never seen before. You certainly knew how to make a girl's day! 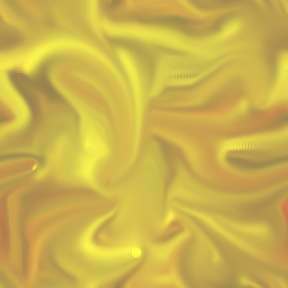 The border is called Gold Satin, from a free library of web backgrounds on AOL circa 2000. The photographs from PopMart St Louis are cropped from originals taken by Danielle Lee Aderholdt, and the photo from the Elevation show in Berlin was taken by Susanne Kempf. The picture from the Foxborough 360° show is screencapped from a 2 cam bootleg video uploaded by YouTube user getitnow2010; the Athens screencap is from a video uploaded by YouTube user shimikenU2. The pic of the MacPhisto megaphone is uncredited on Imgur – please tell me if it's yours! The image from Berlin on the IE Tour is cropped from one of Matthias Muehlbradt's photographs. The screencap of Bono performing Bullet The Blue Sky at Dreamfest 2016 is from a video on U2's official YouTube channel. The Shadow Man photograph was taken at the Indianapolis show by Jason Brice (complete gallery here). The EI Tour intermission screencaps are from a video of the first Los Angeles show uploaded by Robert Hay. Photos of the Showman with his magic mirror are by Remy of U2start.com (from the first San Jose show and the second Belfast show), Justin Kent (from Tulsa, shared on Instagram) and Cind75 (from the first Washington show). The pics of MacPhisto's first EI Tour avatar are screencapped from two videos of the Tulsa show uploaded by YouTube user TheSittich. The first photo of MacPhisto's upgraded avatar was taken by Jay Demopoulos at the second Los Angeles show (shared on Instagram). The pic of him grinning wickedly is screencapped from a video of his first Washington speech uploaded by Jim Powers. (Gutted it's now gone – pleeeeaase re-upload this sometime!) For the European leg I've used screencaps and thumbnails from YouTube videos uploaded by Richard van Dalen (Amsterdam 2), TheSittich (Belfast 2, Manchester 1 and Dublin 1) and U2gigs.com (Milan 1), plus U2's official videos of Lisbon 2 and London 2. The avatar screencap on the EI Tour transcripts page is from a video of the first Philadelphia show uploaded by YouTube user boylobster. My intention has been to create a website that is both informative and nicely illustrated, but if anyone is unhappy with my use of images (or anything else), let me know and I will of course remove them or make the desired alterations. Conversely, if you have any pics, quotes or information that you'd like to contribute, send them my way and I'll see what I can do! A huge and heartfelt thank you to all the people who have encouraged my passion over the years, especially Stain and Casey – you don't know how much it means to me. I really miss having like-minded enthusiasts to obsess with! David Mallet, you are a god among directors; you kept me up virtually every night in the summer of '99, or at least your concert video did. It's the greatest show I've ever seen, and long may it reign. Mark Neale, I adore the Lemon video as much as you do (and your commentary is awesome too). Thank heavens Larry agreed. Kevin Godley and Maurice Linnane, thank you for keeping MacPhisto in the limelight throughout the '90s with your clever crossover video. Joel Schumacher, thank you for presenting that opportunity to them. Thank you to all those actors, writers and personalities who inadvertently inspired MacPhisto, and to the journalists and photographers who have captured his glory for generations of fans to admire. (Some of us were too young to catch ZooTV at the time – pity us, for we are truly deprived!) Thank you to everyone who participated in the hilarious phone calls of the 1993 tour, especially Monique, Máire Brennan, the late great Luciano Pavarotti, Jan Henry Olsen (R.I.P. ), the incomparable Sir Salman Rushdie, Derryn Hinch, Dame Edna and Graham Cornes. You guys were fantastic! And finally, thank you most of all to the star of the show – the magnificent Mr MacPhisto himself. We are not worthy!